In a bid to strengthen Malaysia’s Halal products and services footprint in Japan, Malaysia External Trade Development Corporation (MATRADE) in collaboration with AEON Co. (M) Bhd organised a briefing on export opportunities in Japan for Malaysian companies. The briefing was held in Menara MATRADE on 21 December 2015. The programme was part of MATRADE’s efforts to encourage Malaysian companies to tap into the emerging Halal industry in Japan and to leverage on the demand expected for Halal products and services during the Tokyo Olympic 2020. At the session, attendees were briefed on the strategy to access Japan’s market through AEON and were also given an understanding of the requirements and procedures to supply their products to AEON’s supermarkets in Japan. 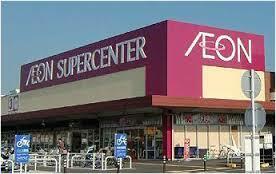 AEON is one of the major retailers in Japan with businesses covering general merchandise store, convenience store, specialty store and also real estate for retail with more than 5,000 outlets in Japan. Its operating revenue was reported to be RM239 billion (USD70.78 billion) in 2014. The brand is currently available in over 13 countries including China (Mainland and HK), Cambodia, Indonesia, Myanmar, Thailand, Vietnam and Malaysia. The Tokyo Olympic 2020, which will take place from 24 July to 9 August 2020 in Japan, offers an abundance of opportunities for Malaysian companies to access the market in Japan. In preparation for the world’s sporting event, there have been continuous efforts by Japanese companies to ensure there are sufficient halal products for the sporting communities, tourist and Muslim populations in Japan. They are focused on Malaysian Halal brands given that Malaysia is one of the world’s top Halal products and services providers. As one of the largest importers in the world, with an estimated shipment value of around USD225 billion in the food service sector where 60 percent of its total food supply is imported Japan is heavily dependent on imported foods. In 2014, Malaysia exports of processed food to Japan was valued at RM620.3 million an increase of 32.7 percent compared to the previous year. Top 5 products that showed the significant increase were cocoa & cocoa preparation, prepared cereals & flour, edible products & preparation and sugar & sugar confectionery. For the first 10 months (January-October 2015), exports of processed food also showed an increase of 25.3 percent, valued at RM654.7 million. Being Malaysia’s 3rd largest trading partner for exports, Japan’s total bilateral trade was valued at RM137.33 billion in 2014.